Remember when you were 10 and your mom use to put those ugly french braids in your head? 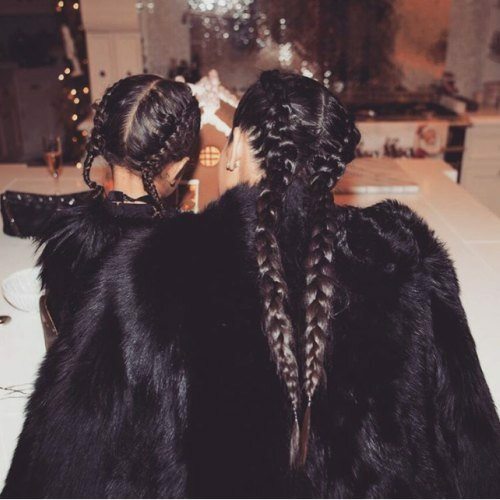 Well, now it seems that’s all the rave since Kim And Kylie Slay French Braids! They have shown us a sassy way to wear them without looking childish. There are different names for these braids; dutch braids, french braids, but the most recent boxer braids. 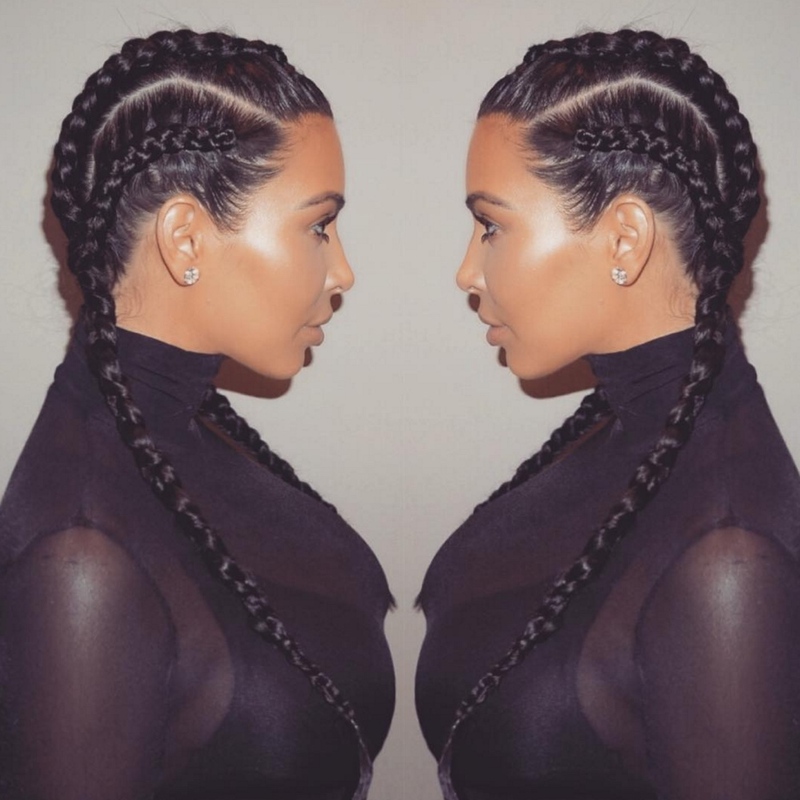 These braids are the BIGGEST hair trend of 2016! French braids are truly versatile, the look is the perfect way to hide bad hair days, second-day hair, for keeping hair under control at events, and the most important it’s achievable with all hair types. How Long Does My Hair Have To Be To Achieve French Braids? It depends, you aren’t going to get the look of an actual french braid if you have short hair without adding Hair Extensions. But, you can french braid short hair, naturally curly or wavy hair, also straight hair. You can also achieve french braids with a vixen sew-in or vixen crochet braids. When trying to achieve the perfect french braids its best to have shoulder length hair, this ensures you won’t have fly aways and your braids stay neat and in place. Step 1: Prep your hair. Brush your hair to get all the tangles out and make it smooth and ready to braid. Part your hair directly down the middle and brush the hair down away from the part. You can braid your hair dry or wet whatever is more convenient to you. Step 2: Begin sectioning hair. Start by gathering hair from the top of one section. All the hair in this section should come from the same “hair row” You don’t want to grab strands from higher up or lower down. You start with a small section, but the braid grows thicker as you add more hair. Step 3: Separate the beginning of braid into three pieces. Create three even pieces at the front of your hairline. Make sure that none of the pieces are larger or smaller than the other two. Step 4: Begin Braiding. First, you have to get your hand positioning right: hold two strands in one hand between middle finger and pointer finger, and the third strand in the other. Begin braiding by crossing the right strand over to the center. Then, cross the left strand over the center. Repeat until you’ve made a few rows of a traditional braid. Step 5: Add Hair Extensions. Keep going with the braid pattern, but start bringing in other small pieces of hair extensions to achieve the size of the braid you desire. Before crossing a section over to center, grab some hair from that side of your head and include it in the cross-over. Every time you cross over works in another small piece of hair behind your natural hair. You want to be consistent with the amount of hair you grab each time, but the less hair you grab, the more intricate the braid will look. For the best-looking French braid, pick up the hair near your face and neck. Step 6: Finish Braiding That Section Then Repeat On The Other Side. Finish your braid all the way down, keep going until you reach the end of your strands. Then, secure the braid with a ponytail holder that matches your hair color so it can blend in with your hair. Repeat steps 3-6 for your next section and then you will have your perfect french braids. Thank you for sharing. I like braids and would love to try french braids. Keep posting.